Apple veteran Frank Casanova was recently appointed senior director of worldwide product marketing for augmented reality, the company's first position in compared to the growing AR field. Extended Reality Demonstration at Apple Park Visitor Center. Casanova earned in the newly created post in less than a month, according to his LinkedIn profile. The position, officially referred to as Senior Director, Worldwide Product Marketing, is "responsible for all aspects of product marketing for Apple's augmented reality initiative," says the profile. A former Apple leader, Casanova, first came in 1997 as senior leader in MacOS X Graphics, Audio and Video. He served in that role for ten years before being appointed senior director of the iPhone Partner Marketing in 2007, a position he held until the head of AR marketing in February. Bloomberg reported on change in LinkedIn on Monday. The creation of Casanova's new role makes it clear how important AR is to Apple's future. Unlike the virtual reality, which places users in a completely digitized 3D environment, AR is best described as a layer of digital information laid on the physical world. By blending advanced hardware such as cameras and positioning components with equally complex software, technology has become a tent stick of the latest iPhone and iPad models. 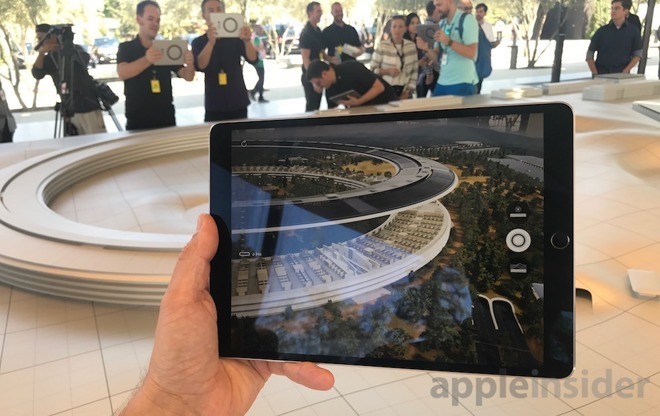 Apple's focus on AR was first revealed with iOS 11, which delivered a first set of AR products and tools such as the ARKit developer framework. First-party apps and features like the Animoji and Measure app are early examples of finished products, but rumors point to a more comprehensive solution that can include an AR headset. CEO Tim Cook continuously tells the company's AR pursuits in public interviews and investor conference calls. Earlier, Cook has referred to AR as a "big idea" as the smartphone, saying technology is of great value to consumers. However, in addition to the AR solutions embedded in iOS, Apple has not yet detailed its broader ambitions in space.